The plane, (Oxford no. 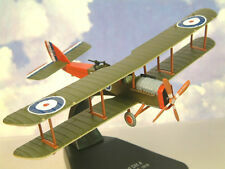 The superb Oxford Diecast 1/72 scale diecast & plastic WWI De Havilland DH4 Biplane, A8032, of RAF 212 Sqn. flown by Major Egbert Cadbury & Robert Leckie, on August 6th, 1918. ). 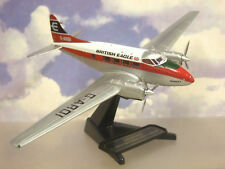 The superb Oxford Diecast 1/72 scale diecast DeHavilland DH104 Dove, G-AROI, "Eaglet" in the livery of British Eagle. The Dove first flew on 25 September. This is from Oxford's higher spec. ". The superb Oxford Diecast 1/72 scale diecast DeHavilland DH104 Devon, WB534, in the livery of the RAF Transport Command. The Dove first flew on 25 September 1945. This is from Oxford's higher spec. ". The de Havilland DH.103 Hornet was a piston engine fighter that further exploited the wooden construction techniques pioneered by de Havilland's classic Mosquito. The Sea Hornet was a carrier-capable version. For sale is a never displayed 72HOR001 Oxford Diecast De Havilland D.H 103 Hornet F.3 RAF Training Squadron Seletar Singapore Circa 1955. AD003 1:72 Bristol F2B, Flight 2 Squadron. 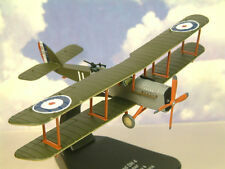 Lot of 4 Oxford Aviation World War One aircraft including Manufacturers SRP £59.80, CLEARANCE BARGAIN! Three examples took part in the race and one of them won it. - Accurate markings and insignia. - Spinning propeller. - Plexiglass canopy. How Big Is It?. It is a scale model. NEW condition (unless specifically stated otherwise). where possible. Manufacturers web pix used where possible. 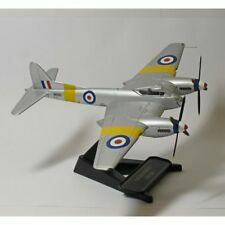 Pictured here is a 1:72 scale replica of a Royal Canadian Air Force De Havilland Mosquito FB VI fighter-bomber known as "Black Rufe," that was piloted by Squadron Leader Robert Kipp, who was attached to No. 418 Squadron, then deployed to Hunsdon, Hertfordshire, England, during October 1944. The Tiger Moth remained in service with the RAF until 1952 when many of the surplus aircraft entered civil operation. Many other nations used the Tiger Moth in both military and civil applications, and it remains in use as a recreational aircraft. The superb Atlas Editions Duelling Fighters Collection "Burma Bridge Busters" set of 2 1/72 WWII war planes. The set comprises an RAF de Havilland Mosquito FB VI twin engined fighter & a Japanese Kawasaki KI.61 Hien fighter. The superb Oxford Diecast 1/72 scale diecast De Havilland D.H.84 Dragon G-ECAN, in the livery of the Railway Air Services Ltd. The wing panels were outboard of the twin engines and could be folded for storage. 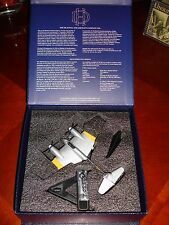 All Oxford Premium QualityHistory of Flight range models are supplied in a sturdy presentation box of the type shown in the second picture. Premium Quality History of Flight range. Diecast Aviation Model. 1:72 Scale Diecast Model. Portugal, Estonia, Latvia, Lithuania & Sweden = £30.00. Denmark, Spain, Austria, Czech Republic, Finland, Hungary, Norway, Poland, San Marino, Slovenia, Slovakia & Switzerland = £25.00. This set of legendary De Havilland Tiger Moths comprises three authentic aircraft that made a historic flight from England to Russia and back in April 1989 marking a step forward in Anglo-Russian relations. 80A PUSS MOTH. OXFORD DIECAST. OXFORD DIE-CAST ITEM NUMBER= 72PM004. AGES 14 TO ADULT. AGES 14- ADULT. BUY MORE THAN ONE ITEM & ALWAYS. NO CRUSHING ON THE BLISTER. BLISTER IN EXCELLENT CONDITION. De Havilland Tiger Moth. The de Havilland School of Flying, G-ACDA. Oxford Diecast. History of Flight. Presentation stand to display the aircraft "in flight". Realistic panel lines, antennas, access panels and surface details. De Havilland Mosquito FB.Mk VI AF No.204 AFS, RAF Brize Norton, England, 1949. Oxford Diecast Oxford Aviation. Realistic panel lines, antennas, access panels and surface details. MINT IN BOX. The second release on our De Havilland DH4 is as flown by the RNAS (Royal Naval Air Service) in 1918. Manufacturers SRP £14.95, CLEARANCE BARGAIN! Airco (de Havilland) DH.4 RNAS No.5 Sqn, 1918. Oxford Diecast Oxford Aviation. Permanently retracted landing gear. MINT IN BOX. The superb Oxford Diecast 1/72 scale diecast DeHavilland DH104 Dove, G-AIWF, in the livery of Dan Air of London. The Dove first flew on 25 September 1945. The first of the type to fly in Dan Air colours in January 1960. De Havilland DH.82A Tiger Moth Floatplane RNFAA, T7187. Oxford Diecast History of Flight. MINT IN BOX. The plane, (Oxford no. Oxford says:The second release on our De Havilland DH4 is as flown by the RNAS (Royal Naval Air Service) in 1918. 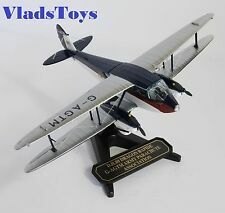 The superb Oxford Diecast 1/72 scale diecast & plastic WWI De Havilland DH4 Biplane, of the RNAS (Royal Naval Air Service), No.5 Sqn., 1918. ). Oxford says:The De Havilland Dragon Rapide was designed by De Havilland in late 1933 and was intended for use as a British short-haul passenger airliner. Throughout its life, over 700 were built, a third of which were used by civil airlines. RAF Far East Training Sqn, WB880, RAF Seletar/Butterworth, 1955. de Havilland Hornet F.Mk 1. Oxford Diecast. Oxford Aviation. MINT IN BOX. The Hornet’ s main role was both a land and naval based-fighter aircraft, operated by the RAF and the Royal Navy. Our first introduction is a replica of the land-based Hornet F3 but we will be introducing the F20 Sea Hornet a little later on. De Havilland Tiger Moth Brooklands Aviation, G-ADVG. Oxford Die-cast. Oxford Diecast features. History of Flight. Presentation stand to display the aircraft "in flight". Interchangeable extended/retracted landing gear with rotating wheels. Oxford Diecast. Presentation stand to display the aircraft "in flight". Realistic panel lines, antennas, access panels and surface details. De Havilland DH.80A Puss Moth. Oxford Diecast History of Flight. King's Flight, G-ABBS. Presentation stand to display the aircraft "in flight". Realistic panel lines, antennas, access panels and surface details. The De Havilland DH.80A Puss Moth was a British two or three-seater high-wing monoplane aircraft designed and built by De Havilland between 1929 and 1933. Our 1:72 scale DH Puss Moth Jason II is a replica of the aircraft flown by aviator Amy Johnson in a number of record breaking flights from history. Oxford Diecast Model Sea Hornet F20 This item is NOT a toy and is intended for modelling use Scale 1:72 Diecast model 14 . The following year it was moved to HMS Indomitable and in June 1951 the Sea Hornets were replaced by Hawker Sea Furies. It is made by Oxford Diecast and is 1:72 scale (approx. 18cm / 7.1in wingspan). Oxford Diecast History of Flight. Permanently retracted landing gear. MINT IN BOX. USAAF 27th ATG, X7454 Wee Wullie. de Havilland Dominie. Oxford History of Flight. Realistic panel lines, antennas, access panels and surface details. MINT IN BOX. De Havilland DH.80 Puss Moth - "British. Oxford Diecast History of Flight. Presentation stand to display the aircraft "in flight". Permanently retracted landing gear. Realistic panel lines, antennas, access panels and surface details. 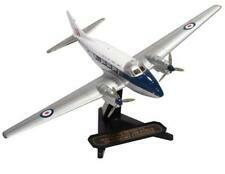 The Oxford diecast range presents detailed, ready-made diecast models of civilian and military transport aircraft. Oxford Diecast. Oxford diecast airplanes feature. De Havilland DH.80A Puss Moth. G-AAZV "Jason II", Amy Johnson, July 1931. Oxford Diecast. Presentation stand to display the aircraft "in flight". Realistic panel lines, antennas, access panels and surface details. De Havilland DH.82 Tiger Moth RAF No.32 Sqn, K2585. Oxford Diecast. Realistic panel lines, antennas, access panels and surface details. MINT IN BOX. Royal Navy, HG709, RNAS Culdrose, England. de Havilland Dominie. Oxford Diecast History of Flight. MINT IN BOX.